A Productivity Commission report has found that the viability of direct international shipping services is affected by the cost of coastal shipping. Picture: Rob Burnett. THE Tasmanian Chamber of Commerce and Industry has welcomed a Productivity Commission report on shipping and freight, calling for a spirited public debate on its findings. The news comes as the last Tasrail train leaves the Hobart railyard before commencing services at the Brighton transportation hub. The report found the viability of direct international shipping services is affected by the cost of coastal shipping and given the state’s reliance on sea transport, Tasmania is particularly affected by inefficiencies embedded in coastal shipping regulation. ‘‘This regulation should be reviewed and reformed as a matter of priority,’’ the report states. 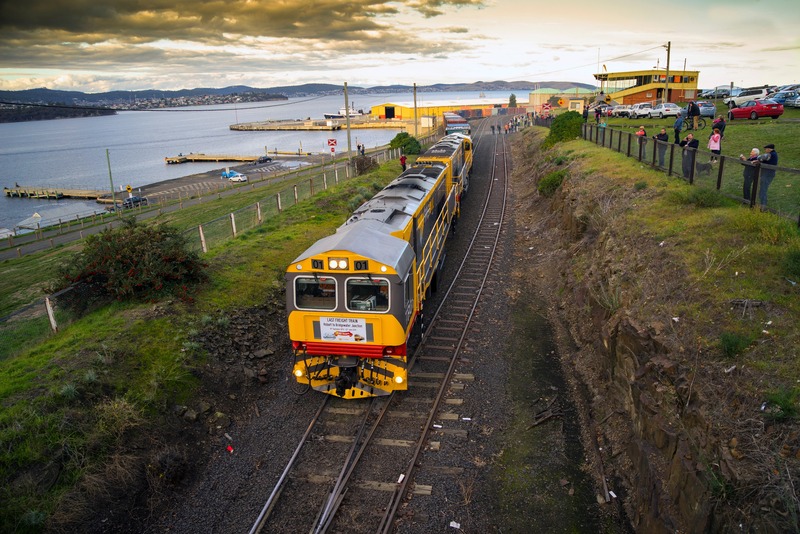 Amongst its other recommendations, the study calls for the sale of assets such as Tasrail, Tasports and the TT Line. TCCI chief executive officer Michael Bailey said the issue of asset sales in Tasmania always brought with it a high level of debate, but the issues raised in the report were worthy of consideration. ‘‘If we are to stimulate both jobs and growth in Tasmania, we must look at ways of becoming more competitive on a world stage to ensure we can continue to increase our exports and generate more wealth in the state,’’ Mr Bailey said. 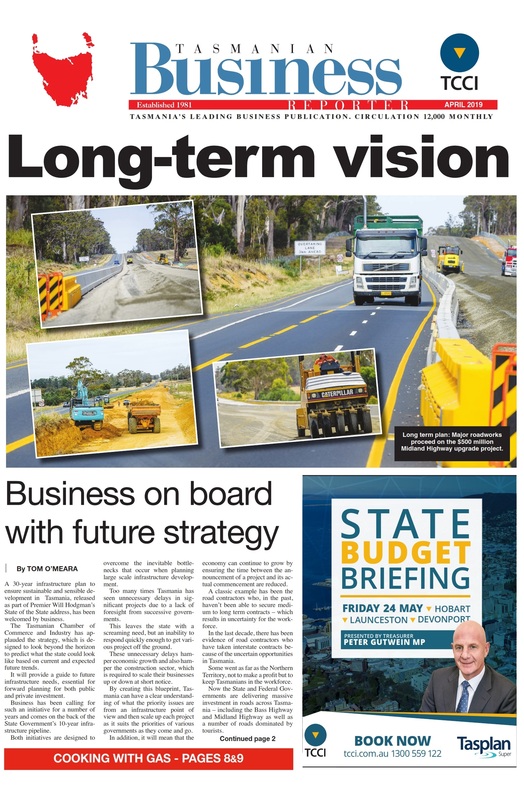 In addition it calls on the state government to look at the development of an integrated freight strategy. The state government welcomed the report, but was uncommitted on the specific findings except for supporting a federal government move to retain the Tasmanian Freight and Bass Strait Passenger Vehicle Equalisation Schemes, despite the report’s criticism of the systems. ‘‘We welcome the Productivity Commission’s positive recommendation of extending the Tasmanian Freight Equalisation Scheme to north bound export freight (and we) will work cooperatively with the federal government to deliver the best outcomes for Tasmanian exporters,’’ the government spokesperson said. The Productivity Commission found there was no coherent economic rationale for the Tasmanian Freight Equalisation Scheme and it falls well short of what is needed to improve the lagging competitiveness of the Tasmanian economy but did recommend it being extended to north bound exports. In terms of the Bass Strait Passenger Vehicle Equalisation Scheme, according to the Productivity Commission there was no clearly stated objective, but at least some of the subsidy is being captured by the Tasmanian government-owned and sole provider of Bass Strait passenger and vehicle shipping services — TT Line. It stated of the cost of freight equalisation and vehicle equalisation, the Australian government has outlaid more than $2 billion since the inception of the schemes, and without change a further $2 billion can be expected over the next 15 years. It further recommended a flat rate of subsidy per container (adjusted for King Island and the Furneaux Group of islands) as it would offer significant advantages over the current regime — increasing incentives to minimise transport costs, improving transparency and simplifying administration.